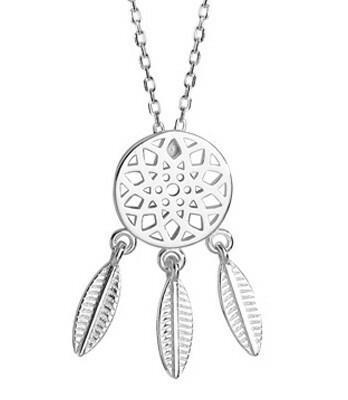 Utterly charming Sterling Silver Dreamcatcher, with three tribal feathers. Shield 1cm, length 2.2cm. Threaded on Sterling Silver Belcher chain.